This helmet with it's sleek design features a thick polystyrene inner shell and a strong, durable outer shell. 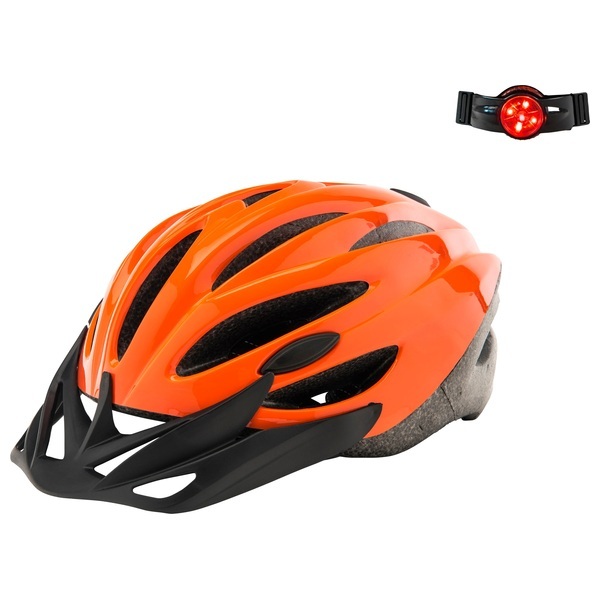 This helmet has a breathable mesh lining, a removable sun visor to the front and an adjustable chin strap and buckle for a comfortable fit. Be seen at night with the bright safety light that is attached to the back of the helmet (batteries included).